Shopping for a bed that isn’t too soft but not too firm? 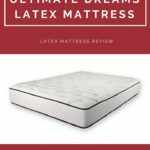 There are many mattresses that are advertised to have just the right level of firmness, but the DreamFoam Mattress Ultimate Dreams Cushion Latex mattress is one of the good choices if we are to base it on customer reviews. 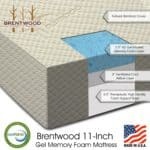 Many owners are raving about this mattress, saying that it gives a good level of support while not compromising comfort. The consensus is that it doesn’t give the sinking feeling that ultra-soft mattresses are notorious for. 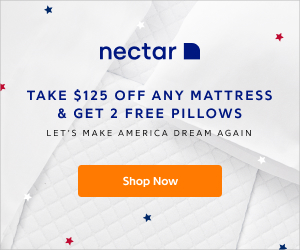 Other reviews indicate that this is one of the more affordable mattresses that you can purchase online. This mattress has three inches of Talalay latex foam. It can immediately contour to the unique curve of your body, giving you pressure relief particularly on the back, shoulder, and hips. It also doesn’t sleep hot, so it is unlikely that you will wake up in the middle of the night drenched in sweat. These are some of the good things that you can look forward when you buy this mattress. 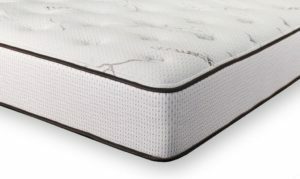 As mentioned earlier, this mattress has three inches of Talalay latex foam sandwiched between a six-inch high density foam base and a 1.5 inch hyper flex foam. 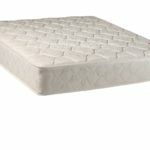 If you haven’t heard of Talalay, then you should know that this is a relatively new foam technology. Mattresses that are made from Talalay latex are known for their soft surface. This gives the mattress just the right level of plushness. Talalay latex is derived from rubber tree. It contours to the shape of the body, and provides pressure relief and support. It is considered the healthiest material to sleep on. The 1.5 inch hyper flex foam which is at the upper most level of the mattress features anti-bacterial properties. If you’re the type of person who has allergies and easily gets sick due to exposure to dust and mite, then this mattress will suit you well. Moreover, it is moisture absorbent, so there’s no chance at all that you will sleep hot on this mattress. Then there’s the bamboo cover that makes the mattress comfortable to sleep on. The 6 inch high density foam base gives the mattress the firmness you want from your bed. It provides superior support to your body. This mattress is available in six sizes—twin, twin XL, full, king, queen, and California King. 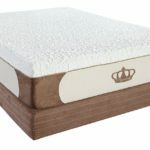 The queen size mattress, which is what we’re discussing in this review, has a width of 60 inches, length of 80 inches, and depth of 10 inches. It weighs 70 pounds. This mattress has four levels of firmness. This particular item has a cushion firm, or level 5. It is ideal for people who like to sleep on their backs or stomachs. It has a slightly lower resistance level compared to traditional firm beds. When you sleep on it, you will notice your body molding more into the mattress. It can also provide a little relief for people who are suffering from back pain. If you’re curious on the other levels of firmness, then you should know that level 3 mattresses are the firmest. These are ideal for people who sleep on their back and stomach as well. This type of mattress has high compression resistance. 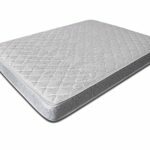 Level 6 mattresses have a softer feel than level 5 mattress, but provide enough support. It is ideal for people who want a bed with a semi-soft feel. Level 8 mattresses are the softest. These are great for individuals who like to sleep on their sides. This mattress is covered by a 10-year warranty. In case you notice a defect during the warranty period, you can contact Dreamfoam Bedding and have it repaired or replaced, depending on the recommendation of the company’s accredited technician. The coverage includes tom handles, damaged or loose wires, body indentations of at least an inch and a half, and sagging. It also includes the box spring and foundation, particularly splits in the wood frame, damaged module wire, or bent or loose beams. You can also have the mattress repaired or replaced if you notice squeaks, rattles, or noises. 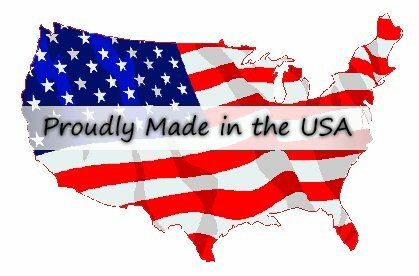 Warranty coverage does include, however, mattress fabric, border wires, sheet fit, and bed height. 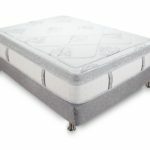 You will also have to pay for the shipping costs if you are to replace or repair the mattress. 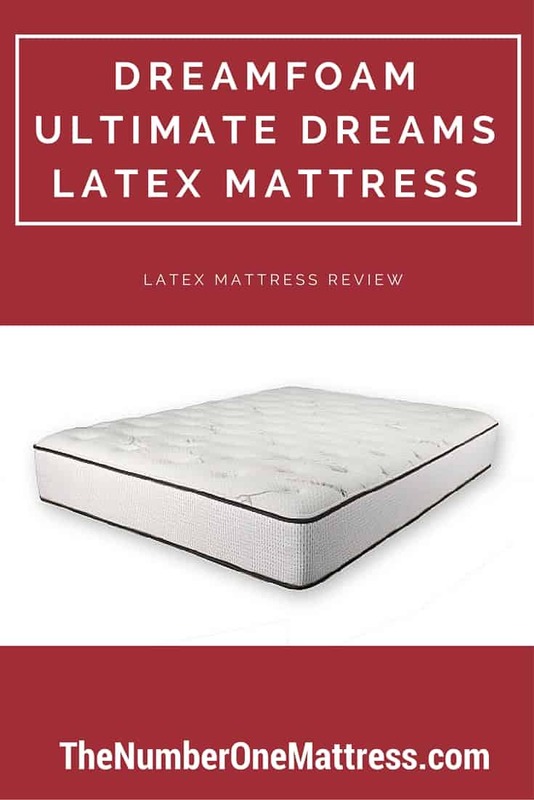 In general , this latex mattress has very good reviews on Amazon.com. The consensus is that it isn’t too soft for a mattress, making it an excellent choice for people who prefer to sleep on their back. One reviewer said she was looking for a mattress for their guest room. She stumbled upon the product on Amazon.com and was encouraged by the positive reviews. She also found the price very enticing as it is fairly low. She noted that the mattress came as ordered. She said it was of high quality. There’s a mild plastic smell which, she notes, dissipated an hour after unpacking the mattress. She said the mattress is sturdy and doesn’t wobble. It also doesn’t make any bed noise, and comfortable and conducive for sleep. She was so happy with the purchase that she bought another for her own bedroom. The reviewer recommends this mattress for people who like to sleep on their stomachs, noting that she likes to sleep that way. She mentioned how she has been able to sleep well ever since she bought this mattress. Another reviewer said he bought the mattress during his college days. He didn’t have much savings back then, but did not hesitate to buy the mattress because he was sick and tired of having to deal with sleepless nights. She opted for a level 5 firmness (the exact firmness level of the mattress in this review) and found it to be of good quality. It would take two people to walk the mattress upstairs, as it is heavy at around 70 pounds. She mentioned that when she laid it on it the very first time, she found it firm. A year after her mattress was delivered, she reported that the bed continues to hold well although she could notice some valleys in the mattress. Another reviewer mentioned that she used to sleep on a memory foam mattress. She said it was very comfortable, but it was hard to get out of it. She said that flaw made her look for a replacement, which turned out to be this Dreamfoam mattress. She was very happy with her decision as she can toss and turn effortlessly on this bed. She added it is super easy to roll out of it in the morning. And she added that the mattress sleeps cool. There’s also a couple who also wrote about their pleasant experience with this mattress. The wife said that they were initially hesitant in buying the mattress, but ultimately decided to go for it because they were enticed by the affordable price. They agreed to get the level 5 mattress. After a couple of months of sleeping on this mattress, the wife says they’ve slept very soundly during that stretch. She describes his husband as having a bad back, and who sleeps on his side. She says the mattress has provided a nice cushion. She recommends this to side sleepers. There are some gripes, though, about the durability of the mattress. There’s one review that complains about the poor stitching of the mattress. He said he had asked for a replacement of the mattress, and the manufacturer quickly granted his request. The Dreamfoam Ultimate Dreams mattress could end your sleeping problems. It can provide you with a good level of support. It isn’t too firm, but not too soft as well. It contours to the unique curve of the body, and can give pressure point relief in certain parts of the body. It also doesn’t sleep hot unlike other mattresses. And perhaps the cherry on top—it is more affordable compared to other beds. With the Dreamfoam Ultimate Dreams mattress, you could be looking at more nights of sound, blissful sleep.